Hi loves! 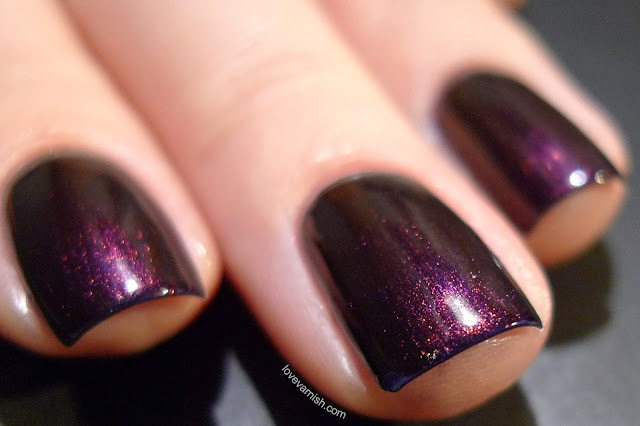 Yes, I know, I've shown this polish before.. but I wore it again the other day, made pictures and well.. it's my blog I can share what I want right ;-)? 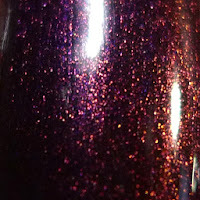 OPI Every Month Is Oktoberfest is the only polish I own form the Germany collection (though I still really want Nein! Nein! Nein! OK Fine!) and it was a gift so I really love it for that. 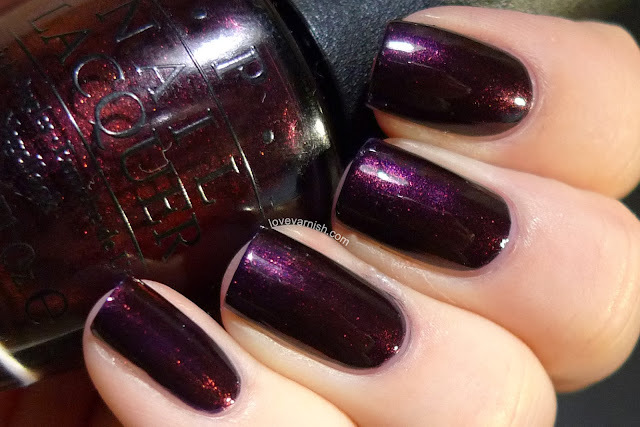 This vampy shade has a blueish base filled with a gorgeous red/purple shimmer. It also works for stamping! I really enjoy wearing shades like these in Fall, I always really crave dark colors when the weather turns bad. The formula is great, 2 buttery coats and it dries quickly. It's also a great base for Max Factor Fantasy Fire, even more vampy! I hope you like this polish as much as I do. Do you own anything from the Germany collection? it's a beauty...I just got it last week. And you need Nein, Nein! Gah, this is such a great color right?!? I could honestly wear this all Fall! It's a great base for that indeed! Oh yes you should get it :D! It's awesome :). I do now, huh? I'll get it soon probably ;-). Yes, you can!!! 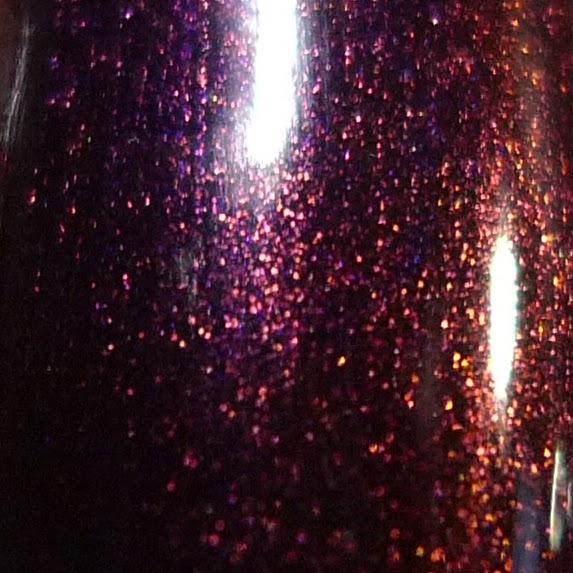 And it's a very pretty polish. I have this one and the blue one. Sometimes I have to be reminded of what I should wear more often. I always feel kinda bad for my other polishes if I am wearing something I've worn before, but oh well.. with beauties like these you cannot NOT wear them, right ;-)?